The 12th Five Year Plan (12FYP) is coming to an end. The Year 2015 set milestones with the enforcement of amended Environmental Protection Law and the release of the ‘Water Ten Plan’ and the new ‘Made in China 2025’ strategy. The MEP says that China is on track to meet its 12FYP targets for key pollutants: over the first four years of 12FYP, COD and NH4 emissions were down by 10.1% and 9.8%, surpassing or closing to the reduction target of 8% and 10%, respectively. The first half of 2015 showed a similar positive trend. However, the state of pollution in China is still worrying and it is not yet time to celebrate. The Minister of Environmental Protection, Chen Jining, highlighted in late November 2015 that a further 30% to 50% reduction in pollution discharge is needed to see significant improvement of environmental quality. Thus, the War on Pollution will and has to continue in the 13th Five Year Plan (13FYP) and onwards. Moreover, China still lacks a comprehensive and cohesive monitoring system. One reason is the dispersed responsibility of water management amongst various ministries. This leads to differences in monitoring networks and methods, which could result in discrepancies in data. Last year, we highlighted the discrepancy of up to 7,700 tonnes of lead pollution from rivers to the sea in 2011 in various data sources from the MEP and the State Oceanic Administration (SOA). In 2012, such discrepancy reached over 9,200 tonnes for lead pollution, and remained wide in 2013. Perhaps, reforming of the current MEP structure or creating an umbrella governing body in water management should be brought into attention again. In addition, there also exist cases of fabricating or tampering with environmental monitoring data. In the list of cases exposed by the MEP in 2015, some companies were caught tampering with real-time monitoring equipment, which was expected to provide more ‘real’ data. The MEP has stepped up by making government, companies, monitors and equipment providers all accountable and also conducting random inspections. Serious violation could lead to criminal charges. If monitoring and data collection improve, there might be some correction of historical data. We have already seen revision of its historical coal data, which triggered hot discussion amongst international media. However, as many experts voiced out (here, here, here and here), such correction was due to improvement in monitoring and data collection. The revised data was actually released a few months before the New York Times’ report, whose reporting ‘purposely’ ignored the increase of electricity generated by renewables. In fact, China’s Paris pledge has already incorporated these latest revisions. So the key focus should really be on how China could further improve its monitoring and data credibility and how we could push more to decarbonize our growth given the increased CO2 emissions in the past. This Christmas, we wish for more data to reflect the real state of China’s environment. Monitoring needs to be strengthened and improved. Although some may say this is a wishful thinking, it may well come true in the 13FYP. Remote sensing has long been used to overcome the limitations of traditional monitoring methods in terms of time and geographical scale. Scientists have invested great effort for decades to refine the techniques. Back in 2006/2007, I worked on a joint project between Zhejiang University and Michigan State University to use Landsat 7 ETM+ imagery to monitor trophic status of an urban lake in Hangzhou. The method, as documented in our later published paper, is simple and straightforward and proved effective to increase the level of information required to combat aquatic ecosystem degradation. Over the past decade, remote sensing techniques have improved significantly and have been used not only in academic research but also used by the government to monitor environment conditions, pollution violations and natural resources. 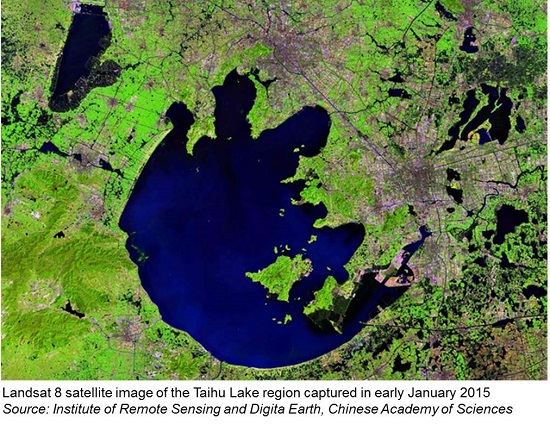 For instance, China Meteorological Administration is using satellites to monitor algae bloom in key lakes. MEP spotted 1,158 sites of crop straw burning, one of major causes of air pollution in rural areas, during 20 May and 31 July 2015 from satellite images. 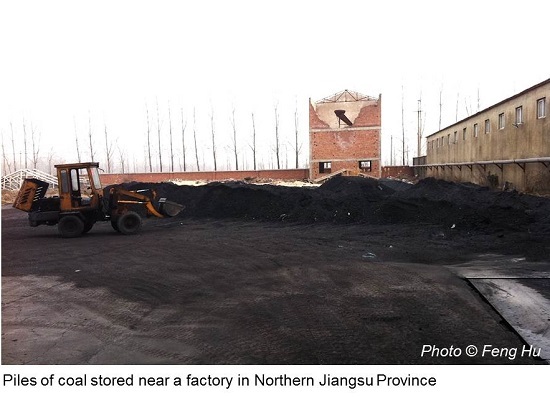 In addition, drones were used by MEP in Hebei in March 2015, where 12 companies were caught on pollution violation activities. These applications have proved to be more efficient, accurate and cost-effective than traditional monitoring techniques. By 2020, China wants to establish an Ecological Environment Monitoring Network, to basically cover overall environmental quality, key polluting sources and ecosystems. This will largely rely on the use of satellite and remote sensing technologies. Indeed, in October 2015, NDRC, MoF and State Administration of Science Technology and Industry for National Defence came out with a new plan to boost its development and application in the next 10 years in many areas including environment and resources management. The “Internet Plus” Action Plan, along with the “Made in China 2025” Plan, is the Chinese government’s new strategy announced in 2015 to optimise its industries and upgrade its economy to seek continued growth. With the help of its fast-developing IT industry, China aims to accelerate the transformation of its manufacturing, agriculture, energy, environmental protection and so on. By promoting more extensive and innovative use of IT technologies, it will make information from industrial operations much more accessible, including data related to resource use such as energy and water. The flow of data could overcome the physical boundaries of factories and geographical locations, and form networks that could be shared across industries. For instance, in the environment protection front, a unified national platform of corporate environmental performance data will be established, which could help information disclosure and encourage public participation. Much talked about ‘Big Data’ will help analyse the increasing amount of data. For instance, the current plan indicates the use of GIS and smart mapping together with Big Data analysis techniques to optimise the location of monitoring points. By end of 2018, a unified open data platform is expected to be established covering all the key areas (including agriculture, resources and environment, etc. ), according to the State Council’s Action Plan on Promoting Big Data Development released on 31 August 2015. China plans to establish national trading schemes for Energy Use Permit, Water Use Permit, Pollution Discharge Permit (including Wastewater Discharge Permit) and Carbon Emission Permit. A national carbon market, based on the current seven pilots of carbon emission trading, is expected to be established by 2017. Similar nation-wide system is also planned for Wastewater Discharge Permit by 2017. For Water Use Permit, seven pilot provinces were selected in 2014 to trail out trading schemes in the following two to three years. These plans were again confirmed in the Communist Party of China (CPC)’s recommendations to the 13FYP released on 29 October 2015, which sets the tone of the full plan coming out next year. It also suggests that the corporate discharge permit system will cover all the fixed pollution sources. In addition, a unified real-time environment monitoring system and a nation-wide monitoring system for groundwater will be established. Credible data is very important in the measurement, reporting and verification of carbon emission reductions. 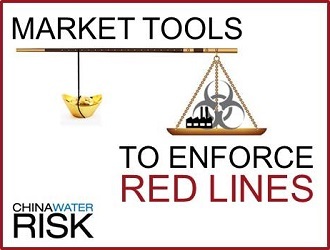 The same applies to water-related permits. As a qualified auditor of various international carbon emission schemes including the Clean Development Mechanism, the Gold Standard and ISO standard on Greenhouse Gases, I cannot highlight enough the important of credible data in the measurement, reporting and verification (MRV) of the amount of carbon emission reductions that a project achieves. The same applies to water permits. Without real and comprehensive data, it will be hard to convince companies and investors to actively participate in these schemes. Learning from the experiences of the global carbon market crash, it will also be wise to have a good monitoring system so that the regulator can set the quota and manage permits properly to avoid another ‘bubble’. Given the government’s ambition to set market-based mechanisms to manage its environment and natural resources, we will see much more efforts to put into their monitoring. Otherwise, these markets may be simply heading to crisis. Does more data mean we need more power? With these above reasons, we will likely see more and better data. But, it also means that we will probably need more IT infrastructure such as data centers to store and process the increasing amount of data. China now has over 400,000 data centers, whose energy demand accounts for over 1.5% of total electricity consumption, according to the ’Work Plan on Green Data Center Pilots’ issued by MIIT, NEA and National Government Offices Administration in March 2015. The document also states that the power usage effectiveness (PUE) of Chinese data centres is overall greater than 2.2, which is less efficient compared to the data centres in the US with an average PUE of 1.9 and the most advanced ones with a PUE below 1.2. Does that mean that increasing data centers will push up its energy use? Thermal power still accounted for 75.2% of total electricity generation in 2014, the inefficiency and increasing electricity consumption of data centers will add to the impacts from coal-dominated energy mix on the air and water. It’s good to hear that Apple will build 200MW solar power plants in China and source more renewable energy for its supply chain. But what about its cloud service? Xiaomi, the second largest in China after Apple in terms of mobile phone sale, is still not responding to IPE’s call for environmental information disclosure of its suppliers, not to mention its cloud service. What about other IT companies that are running data centres? The e-commerce giant, Alibaba, made a sale record of USD14.3 billion on this year’s Single’s Day (one of China’s shopping holidays equivalent to the Black Friday). But, all the online transactions are powered by large scale IT infrastructure. Will the booming e-commerce sale pump more hot air to our already warming climate? We need more data to find out. Feng leads CWR’s work in water-nomics integrating economic planning with water risk management at both basin and regional levels. His collaborative projects for CWR include the joint policy briefs with China’s Foreign Economic Cooperation Office of the Ministry of Environmental Protection on the water-nomics of the Yangtze River Economic Belt. Given Asia’s need to develop within a tight water-energy-climate nexus, Feng also works to expand the water-nomics conversation beyond China into rest of Asia. He has given talks on the topic and other water issues at international conferences, academic symposiums, corporate trainings and investor forums. Prior to CWR, Feng was a senior auditor in an international certification company where he worked with governments, private developers & NGOs on various climate projects from renewable energy, energy efficiency to waste management as well as dam compliance assessment of large hydropower projects. He has led projects in most of the provinces in China, several African countries, Vietnam and Nepal, and conducted research on urban water ecosystem health assessment using remote sensing to feasibility study of biofuel production from microalgae. Feng holds a MSc degree in Sustainable Resource Management from Technical University of Munich and a BSc degree in Environmental Science from Zhejiang University.